Tara Donohue Rudo launched No More Piles in 2002 to help Baltimore’s busy families and small business owners get more organized so they could reduce their stress, save money and have more time for the things they really care about. Prior to stepping into her entrepreneurial journey, Tara spent over a decade working in various corporate environments, ranging from financial planning and investments to medical offices, staffing agencies and restaurants. This broad experience has given her a unique perspective in developing and implementing simple yet highly effective organization systems for her clients. Tara believes that work life balance is the rainbow unicorn. Life and work both need our 100% focus. The key is to manage your time and skills to give 100% to each at various parts of the day and week. Her passion is helping clients learn tools and strategies so they can spend quality time on the big rocks in their life and not on the sand. 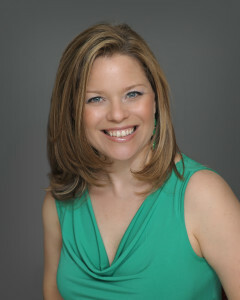 Tara is one of only 350 Certified Professional Organizers in the world and a Certified Organizer Coach. She is a member of the National Association of Productivity and Organizing Professionals and NAPO’s Golden Circle. Tara has been featured on Fox 45 Morning News and in Parenting Magazine, Working Mother Magazine, the Baltimore Sun, The Jewish Times, Carroll Magazine and The Capital newspapers. Tara is a frequent speaker on organizing and time management at various community, business and non-profit organizations. 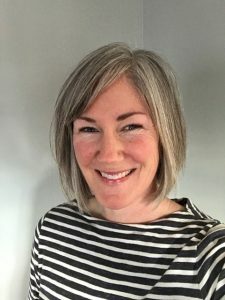 Joan Robinson started her training with Tara Rudo in 2008, and became a professional organizer when she officially joined the No More Piles team in May 2011. She has worked on hundreds of projects since then and has risen to become Senior Project Manager. As professional organizer with No More Piles based in Catonsville, MD, Joan is bringing her passion for organizing to busy families to help them enjoy more peace, harmony and relaxation in their home. She has earned two certifications through the National Association of Productivity and Organizing Professionals and continues her organizing education. Joan is a busy mom and wife who has a passion for organization. As a mother to three children, including a child with Autism and a child with ADHD, she understands the meaning of having “too much on your plate.” She also knows first-hand the importance of organization on the happiness and well being of a family. Prior to becoming an organizer, Joan worked as a social worker, where her time management and project organization skills were put to the test in a fast-paced, demanding work environment. Shannon leads an active lifestyle. She is a wife and mother who has spent the past 25 years teaching and volunteering in various capacities. Her home was where the Navy sent her. She moved numerous times and understands the ins and outs of relocating as well as the vital role that organization plays in life. Now, settled in Anne Arundel County, she is an organizer that strives to provide effective client service in a compassionate and nonjudgmental manner. Shannon has a background in Communicative Sciences and Disorders. She can provide assistance in identifying solutions and encourage you while tackling the task at hand. Shannon Olin joined the No More Piles team in August of 2014. Amy Reilly joined the No More Piles team in September 2016. 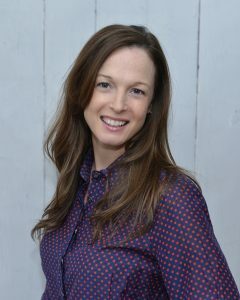 Amy is motivated, energetic, and patient in her efforts to help our clients lead a more peaceful and stress-free life. Amy loves the challenge of discovering each client’s unique organizing style so the systems set in place will be easy to maintain. Amy worked in corporate marketing for 15 years before leaving it behind to raise her two children. Keeping her family and home well-organized made her realize this was something that she enjoys. No More Piles seemed like a natural progression for Amy who is passionate about simplifying life.